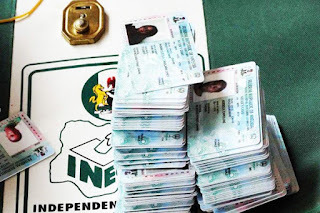 Many registered voters across the country could not collect the Permanent Voters Card (PVC) despite the three-day extension by the electoral body which ended yesterday. This means many prospective voters will miss the chance to participate in the general elections slated to commence on Saturday, February 16, 2019. The Independent National Electoral Commission (INEC) which had fixed Friday, February 8 as last day for the collection of PVCs extended the issuance till 6pm yesterday. INEC chairman, Prof. Mahmood Yakubu, had in January disclosed that the final register for the 2019 general elections stands at 84,004,084 voters. It was gathered that INEC carried out Continuous Voter Registration (CVR) between April 27, 2017, and August 31, 2018, during which a total of 14, 281,734 new voters were registered. Residents wait to collect their permanent voter’s cards at INEC office in Uyo, Akwa Ibom State yesterday. Thereafter, the commission printed the PVCs of the new registrants and delivered them to the states. They were thereafter devolved to the 8,809 Registration Areas/Wards from January 16 to January 21 for collection throughout the week including Saturday and Sunday. After January 21 collection of PVCs was reverted to the commission’s local government offices and other designated centres.